The Ford Mustang GT made its Indian debut last year when the model was launched in the country with a price tag starting at INR 65 lakh (ex-showroom). The muscle car received an amazing response and also became the best selling sports car in India when all 100 units allocated for 2017 were sold out in less than a month of its launch. 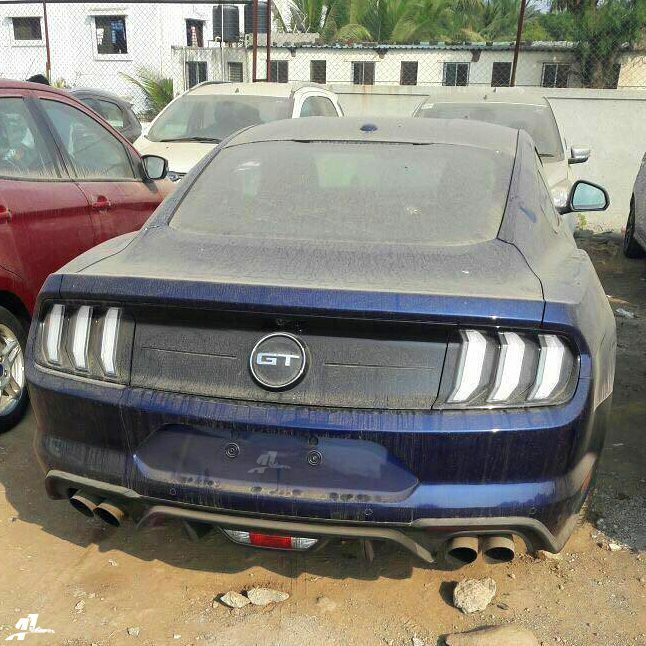 Now, Ford plans to bring in the 2018 Mustang GT in India and new spy images published on social media confirm the same. 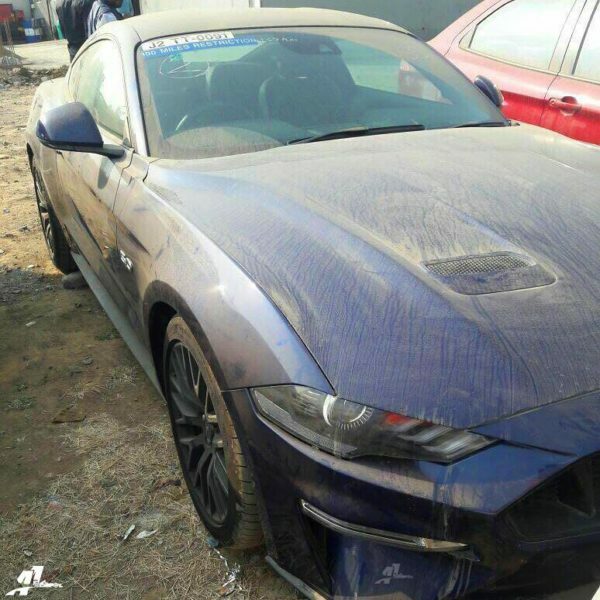 The new spy images reveal a single unit of the new Mustang spotted at what seems to be a dealer yard, although the exact location remains undisclosed. A sticker on the upper right hand side of the windscreen reads ‘100 miles restriction’, hinting that the model is undergoing homologation process at the moment. Visual changes to the 2018 Ford Mustang GT over the outgoing model include a new and sharper front bumper with integrated LED DRLs, refreshed headlamp setup, redesigned rear bumper, new tail lights, new spoiler and new five spoke alloy wheels. Inside, the 2018 Ford Mustang GT, when compared to its predecessor, will feature a new 12 inch LCD instrument cluster, an updated infotainment system with Apple CarPlay and Android Auto and new seat upholstery. Under the hood, Ford is likely to retain the same 5.0-litre V8 engine for the India-spec Mustang GT. This engine though, has been retuned and now produces a power output of 460 bhp while the peak torque is rated at 570 Nm. Transmission duties could be taken care of by a 10 speed automatic unit as opposed to the six speed automatic unit on the outgoing model. Ford India is not participating at the 2018 Auto Expo next month and hence the model will not be showcased at the event. Ford could launch the new 2018 Mustang GT in India in the coming months. Stay tuned for updates.